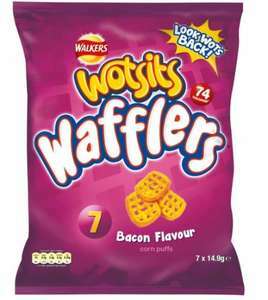 7 pack Wotsits Wafflers bacon flavour corn puffs. Only 74 calories per bag! Amazing Value at just £1 at Poundland! Hoping they do these in cheese flavour too! i used to loveeeee these! I've never seen these, I'm off to Poundland tomorrow! Nice. I hope they're as big on flavour as they used to be! Aren't wotsits really light? I would have thought those packets were roughly equivalent in size to a normal multipack of crisps, what with all the air inside them. Anyone remember the mini wotsits they did about 10 or so years ago? they were amazing but I can't even find any info about them online. They did do these in cheese flavour didn't they? don't remember bacon flavour. Aren't wotsits really light? I would have thought those packets were … Aren't wotsits really light? I would have thought those packets were roughly equivalent in size to a normal multipack of crisps, what with all the air inside them. Not the wafflers, they were like an entirely different species. Monsters from what I remember. Anyone remember the mini wotsits they did about 10 or so years ago? 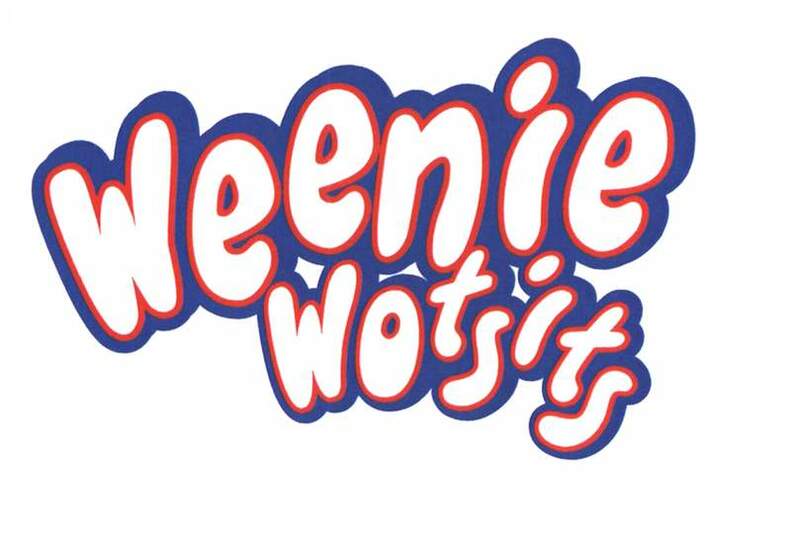 they … Anyone remember the mini wotsits they did about 10 or so years ago? they were amazing but I can't even find any info about them online. They did do these in cheese flavour didn't they? don't remember bacon flavour. Yes! I remember the mini wotsits. I don't remember bacon flavour either, only cheese. No wonder they're only 74 calories, there's virtually no crisps in each bag. 15g - I could produce more toe nail clippings. Just over 100g of crisps for a squid - not especially great value. Take a pack of 35g Walkers, and eat 40% of them (ie around 15g), and guess what it's around the same 75 calories. No wonder they're only 74 calories, there's virtually no crisps in each … No wonder they're only 74 calories, there's virtually no crisps in each bag. 15g - I could produce more toe nail clippings. Just over 100g of crisps for a squid - not especially great value.Take a pack of 35g Walkers, and eat 40% of them (ie around 15g), and guess what it's around the same 75 calories.COLD. I don't see what the problem is? Wotsits are LIGHT, there is not going to be a lot of weight for something not weighing much. A normal pack only has 19g but the bag is always full. Bacon Flavored air.then? Must resist saying 'maybe the 'wotsits' franchise came up cheap! That would be too unspecific a demographic. And opening the packet counts as part of your daily exercise routine. Yes! I remember the mini wotsits. I don't remember bacon flavour either, … Yes! I remember the mini wotsits. I don't remember bacon flavour either, only cheese.Aha! Found 'em! Awesome thanks for this. Now I know I wasn't going insane. I searched for mini/tiny wotsits and nothing. I loves these they had more flavour and a better texture. Wow these are AMAZING! And such food value at £1 - I hope some of the other discounter stores start selling them as well. Suchy great pack design and retro feel. And tasty too! 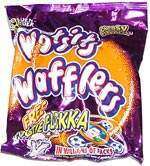 Woohooo for Wotsits Wafflers. Store near me was nearly sold out so must be popular. Just picked some up from my local Poundland! They're pretty amazing and you get quite a lot of "waffles" in your pack!!! Reckon these will be huge and everyone will be selling them soon!! In Sainsbury's you can buy a 6 pack with 2 prawn cocktail ones (plus 2 cheese and 2 flaming hot)! They are definitely the best! Only 74 calories per bag! They do still sell these in the multipack wotsits. These are not the same as they used to be. They're smaller for a start, bags and the Waffles themselves. Also, they're not as crunchy as they used to be. Shame, I used to love the Cheese Wafflers. They need to bring them back, but in their original condition. No longer exclusive to Poundland, these are now in Home Bargains for 99p. Or it might be 79p, I wasn't really paying attention. No longer exclusive to Poundland, these are now in Home Bargains for 99p. … No longer exclusive to Poundland, these are now in Home Bargains for 99p. Or it might be 79p, I wasn't really paying attention. Doesn't say exclusive on the Poundland website either now.